Did you know that some fish can climb trees? How do dolphins find fish in muddy waters? Why do tigers have territories? Although an increasingly popular destination for both local and international tourists, information on Sundarban is not widely available. Yet this fragile eco-system is threatened by the demands of a growing human population, reduction of water inflow, pollution, over-fishing and unsustainable exploitation. 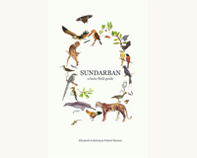 Elisabeth and Rubaiyat Fahrni Mansur have been working in Sundarban as nature guides, wildlife photographers and independent researchers for many years. Together with young artists and conservationists they have created this practical field guide. Combining simple language and attractive illustrations, they explain the importance and complexity of this fragile mangrove ecosystem. 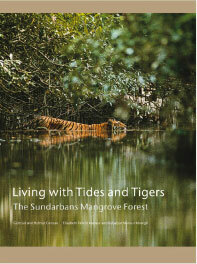 The Sundarban of Bangladesh is a maze of rivers, creeks and islands at the mouth of the Ganges Delta. Every year the honey collectors, locally known as mowalis, penetrate deep in to this dense and inhospitable tidal forest, braving stinging bees and occasional tiger attacks to collect precious honey and wax. This is their story. 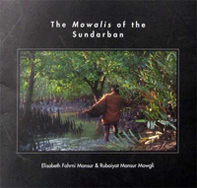 Rubaiyat and Elisabeth Fahrni Mansur have followed the mowalis through the Sundarban since 1995, documenting their lives and gaining insight of this unique and dying tradition. The two passionate photographers spend most of their time in these mangroves of Bangladesh, working with tourists, wildlife enthusiasts and film crews.